National Office Bearers: constitued with The President, The Vice-President and the National Treasurer. Union Officials: constitued with The General Secretary and The Vice-General Secretary. 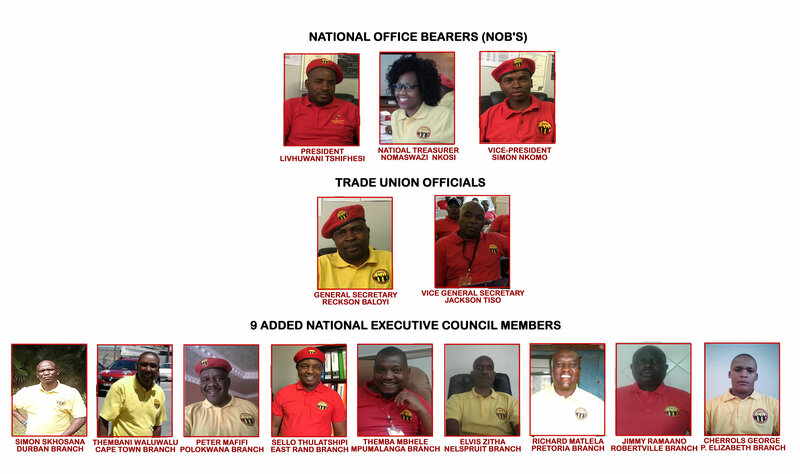 9 Added National Executive Council Memebers:The Additional NEC Members are elected to the National Congress by the regional members; This is proportionate to the membership of the region; subject to have at least five hundred (500) Members.